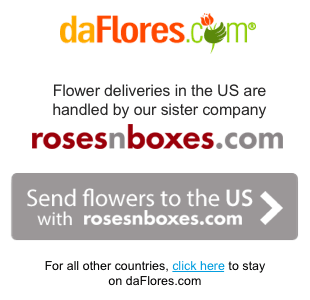 At daFlores, you can send flowers to Mexico and take advantage of our same-day delivery to every city in the country. Choose from gorgeous flower arrangements and gifts for every occasion. We make it easy to send flowers from anywhere in the world so you can let your friends and loved ones in Mexico know that they are always in your thoughts. Holidays can be especially hard when you are away from the ones you love, but you can always let them know you care by sending flowers to Mexico for every occasion. Mother’s Day and Valentine’s Day are the perfect time to send something special and make sure that they receive their beautiful gifts before the big day. Just remember that these holidays are busy times for premium florists and flower shops, so you will want to place your order early to surprise your loved one at just the right time. 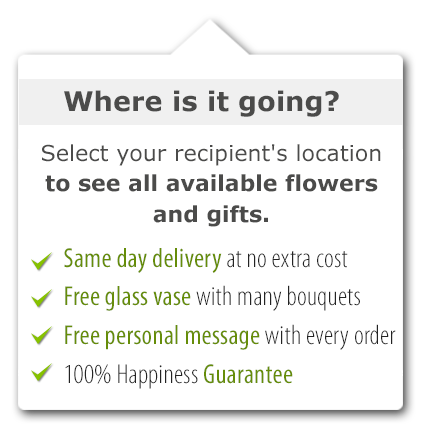 We are committed to providing the best international flower delivery, and our system is quick and easy to use. Take a look at our current selection and choose from arrangements of a dozen assorted roses or get creative with a beautiful spring basket. Whatever you choose, the ordering process is easy, and, if you order now, you can have your flowers delivered to Mexico by tomorrow. 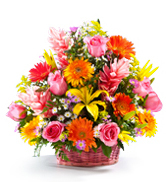 Same Day Flower Delivery to all cities in Mexico. Para ver esta página en Español, favor visitar nuestra página de Enviar Flores a México.